I’m pretty sure that’s what I said the first time I heard the term “tilt table” in reference to sheep. Did they actually mean to say turntable? Do sheep enjoy classic vynil more than the average bardyard animal? 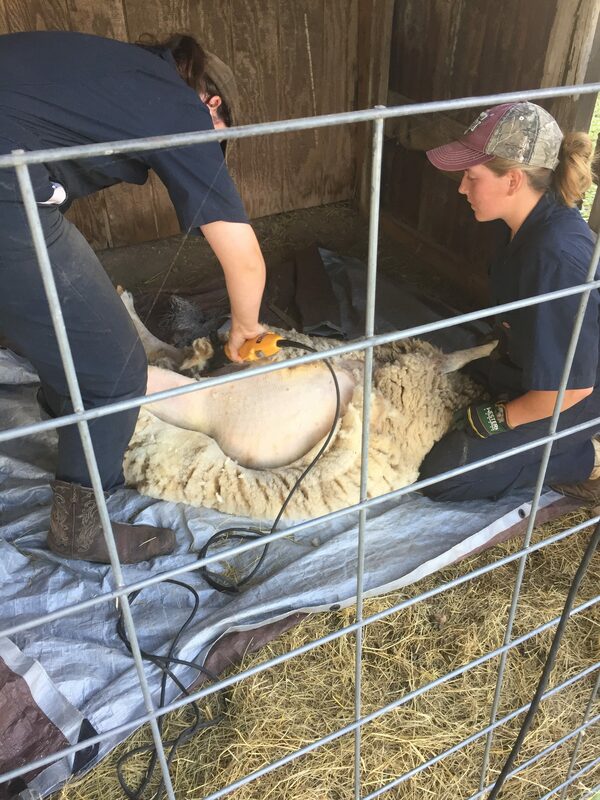 It turns out a tilt table is used to grab a sheep, hold it tight, and turn it on its side so you can work on it. 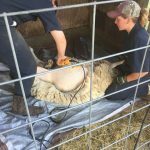 While not inexpensive, we decided it would pay for itself in lots of ways after one of our ewes needed multiple days of medical care. 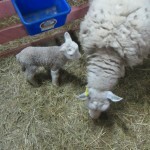 We recently had a ewe get a thorn stuck through her foot pad resulting in an infection. While she was a relatively calm white-headed dorper, it was a lot of work to catch her four different times, hold her still, clean her wound, soak her hoof, apply medication, wrap and tape her hoof, and give her antibiotic shots. Each time we came out sweating (and sometimes swearing) and tired. There had to be a better way. Turns out there is. Smart sheep handlers use tilt tables to handle their sheep. So, after selling our house we took the plunge and ordered a tilt table and sorting equipment. I’m in the process of setting it up now. Pictures of us sweeping sheep off their feet soon! We had given up hoping that our cheviot ewes were pregnant since all the Dorper ewes had already long since finished their birthing. But McKayla’s call from the barn this morning sounded different. So she was. Below her was a tiny baby. 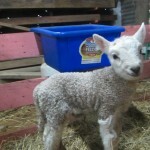 We forget how tiny cheviot babies can be until you see them on their birthday. The most amazing thing is that baby cheviots look like they have a constant grin on their face. Automatic love.